This is where we will post the photos and reports from MegaCon Tampa Bay 2018 that didn't make it to the news we posted on the front page of the site. 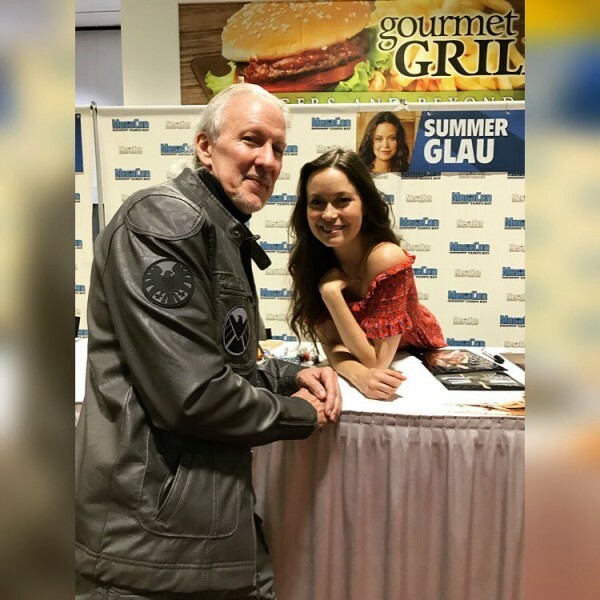 So Summer Glau, the girl who played the character River in the show Firefly of whom the River from this litter is named after, was at Megacon this year. 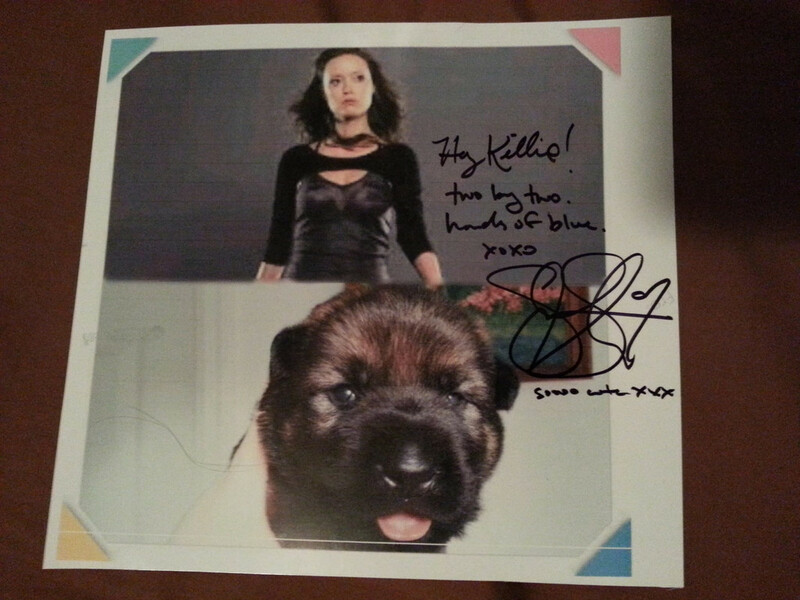 My sister went today and took this picture with her for me and got it signed by Summer Glau! She was very excited and honored that a puppy was named after her and loved it so much she showed everybody in line the picture of my River. She said it was the cutest picture she's ever signed! I'm glad she was what I had hoped she would be and that she liked River so much. Maybe she'll find us on Facebook, who knows? Whoever gets River will get a copy of this signed picture as well. Check out the FULL video of Summer's panel at MegaCon Tampa Bay 2018. Huge Thank You to Cultura Secuencial for the video. On this throwback Thursday I wanted to give a big thank you to all the wonderful people my Dad saw at Megacon Tampa in September! I was still struggling through the early part of my recovery from my acdf surgery, so I wasn’t able to be there, but my Dad went and shared these wonderful pics with me of all you guys saying hi and sending me well wishes — it certainly brightened my spirits! Even Summer Glau told me to “Stay shiny and feel better!” I am certainly feeling much shinier these days!! I love you guys to pieces (including all you not pictured) and I hope you’re all doing wonderful!!! Thank you guys for all the love. And a big thank you to my Pops for bringing me this much needed cheer!